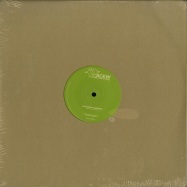 180 gram vinyl in full colour sleeve. "ba044v brings you two of the uk’s finest electronic music producers and live acts, each taking a side of vinyl each and showing why they’ve earned high levels of respect from listeners, djs and fellow artists alike. 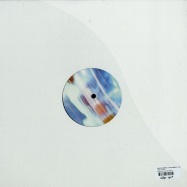 on side a carl finlow offers up two tracks of his trademark high standard. in both cases he artfully blends the ingredients that have earned him the respect of listeners and fellow producers alike; intelligence, a strong groove, futuristic elements and that finlow factor that you can t quite put your finger on but just makes his material rise to the top. bleem is machine funk at its best, instantly infectious, hypnotic and speaking equally well to your body and mind. it builds subtly and each layer just adds to the pleasure a real escape through sound affair. chemical bonds follows suit with another carefully concocted machine groove, accented by distorted riffs and a constant reminder from the vocal to don’t stop mid-way through the track you are somehow suspended on the plateau finlow has raised you to, as a dystopian sci-fi atmosphere swirls around and engulfing you. these are not simplistic tracks; they just feel so right on the ears because the elements weave in between one another effortlessly; because the architect is so skilled. 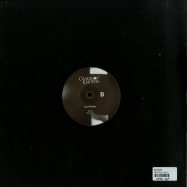 on side b no stranger to vinyl and exposure where it counts, a firm favourite of dave clarke and many other educated djs of the authentic electro sound, dez williams delivers three punches; all dance floor killers overflowing with energy. 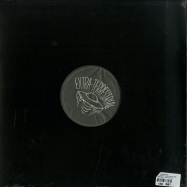 interference pattern kicks off his side of the record and heads straight for the jugular; punchy drums, infectious acid lines and crafty tempo changes guarantee a sweaty floor and ceiling at any club. 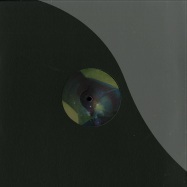 keeping the pace high dayzov v1.1 brings a hard, fast, driving groove which strikes nicely at the sweet spot where techno and electro overlap. lastly whitey. this sums up the way you feel after the two preceding tracks; head a wash with crazy sounds and rhythms, gradually spiralling into that special place dance music can take you - dazed, confused and loving it. supported by dave clarke (including best electro of 2016), mixmag, freddy fresh, the hacker an more." carl finlow at his best ! 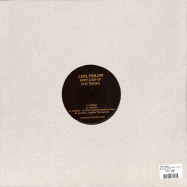 carl finlow comes with a beautiful elektro ep. if you like the sound of kraftwerk this is something for you. 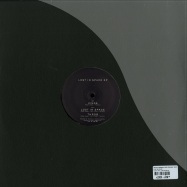 eric estornels lone romantic releases -anomaly-, the new ep of the veteran english-born, france-based producer carl finlow. 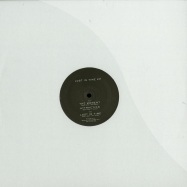 -anomaly- is the 3rd instalment, following estornel’s maceo plex album -solar- and the return of his mariel ito alias with the -2e komst- ep, remarking the distinct sound of the label once again, while pushing a step forward at the same time. 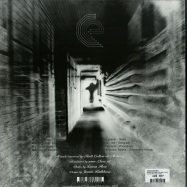 with the relaunch of mariel ito, the electro and idm alias of estornel, that was active in the early 2000s with releases on modern love or scsi-av and that will see a retrospective album from that time on r&s records, lone romantic is a new suitable platform for carl’s music. 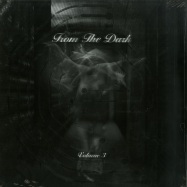 however, from the 90s until today, his vast catalog traverses through the most relevant labels out there such as warp, soma, klang, scsi-av, novamute, satamile, electrix and his own 2020 vision. 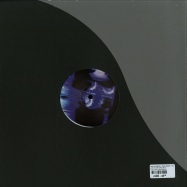 -anomaly- is a four-tracker showcasing classic electro schemes with ease. a frenetic mysticism and a meditative melancholy stand behind the most innovative trajectories of funk, within a mood much divergent than the usual conservative reverence towards the genre. 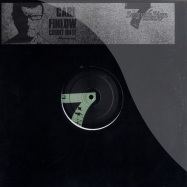 lush and adventurous melodic electro/techno tunes in his wellknown style by carl finlow! combining robotic melodies and smooth rolling drum machines in a kraftwerk meets the other peoples place meets underground resistance kinda way. 3 new tracks and a reissue of the lovely anomaly , originally released on device in 2003 as part of carl s electrilogy + album. 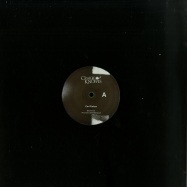 the first artists release on the craigie knowes label after their sweet war child fundraiser compilation album. billy nasty’s electrix records launches its 2016 schedule by welcoming back the always impressive, carl finlow. 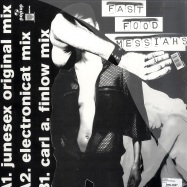 carl is one of dance music’s leading lights and a multi-talented producer across a range of genres, with releases stretching back to the early 90s. 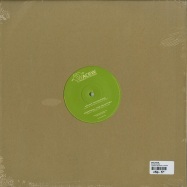 well known for the 2020 vision label he launched with ralph lawson, his solo work however has often taken an electro route with releases under various guises like random factor, black labs, voice stealer, silicon scally and scarletron (with daz quayle) on labels including warp, fuel, playhouse, paper, trope, sony, klang, arista, soma, scsi, pagan, minifunk, seventh sign and satamile. it’s been almost 3 years since carl appeared on electrix. 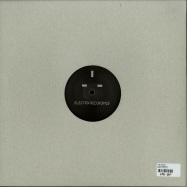 his ‘boot loop ep’ became the label’s second release after its re-launch in 2013. but it’s definitely been worth the wait. 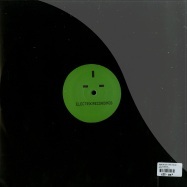 his ‘electricology 4 ep’ once again shows why he’s a master of the genre. 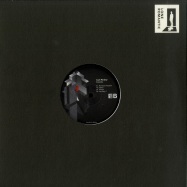 from the tough and funked-up ‘lateral thoughts’, speckled and melodic ‘hyperloop’, squelching, bassy ‘suspect reanimation’ and sinister, beat-driven ‘latext’, right through to the playful ‘atomic level’ (a bonus track for the digital release), the ep shines, with a stamp of high quality running though its core. the lost in time series continues with the fourth release in ralph lawson’s new imprint. 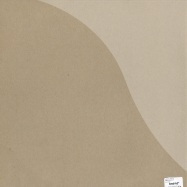 the label releases timeless music from a collective of maestros including chez damier, tuccillo, carl finlow and debukas. after the recent license of ‘hold over me’ to no 19 music the crew return to the mothership for ‘lost on the island’. 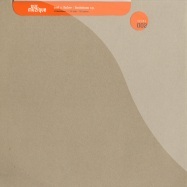 a 3 track ep recorded between studios in leeds, paris and ibiza from lawson, finlow and tuccillo. the final mixing was carried out at unblock studios in ibiza after a series of excursions to very diverse places on the island. 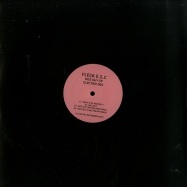 • billy nasty’s electrix recordings returns with a new ep by fleck e.s.c. franck collin, aka fleck e.s.c, is an electro artist originally from france but currently living in tokyo. franck’s earlier experience playing bass and drums in bands and his love of horror, science fiction and b-movies, naturally drove him to the electro scene. 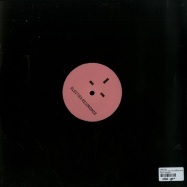 with additional influences rooted in new wave, contemporary, techno and ambient, fleck e.s.c tries to avoid the clichés of electro, leaning more toward the spooky side of horror and sci-fi and the cheap retro sounds in tribute of the movies he loves. never too serious or pretentious and always striving for fresh sounds, fleck e.s.c’s music aims to distract the body and the brain. 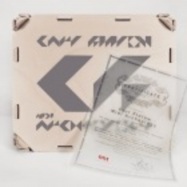 vinyl only! dub is one of the most overused words in dance music. ralph lawsons new lost in time series continues with the second instalment lost in space. exactly 20 years after the release of the classic ep chez damier and ralph lawson entered the studio again. just as before they only had one day to record, after playing a gig together at back to basics in leeds! 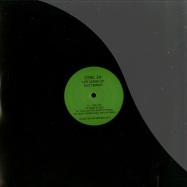 pure electro from sync 24 on electrix, including remixes by carl finlow (aka random factor aka silicon scally) and the exaltics. 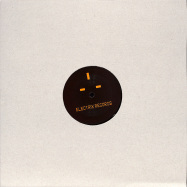 billy nastys electrix label re-launched this year with the first offering from radionasty hitting the stores in march. 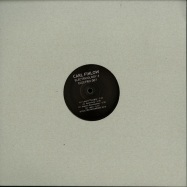 back in the swing of things, the label now continues with a new ep by electro legend, carl finlow. 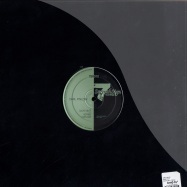 the boot loop vinyl ep includes two new cuts from carl alongside remixes from volsoc (who reformed especially for this project) and radioactive man. 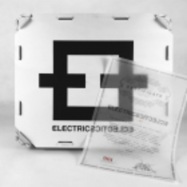 strong electro compilation on 2 12 inch vinyl.. incl. carl finlow! *agraphobia* by la synthesis is considered by many as one of the most beautifully crafted string-driven techno tracks of all time. originally released in 1994 it has received somewhat of a legendary cult status. 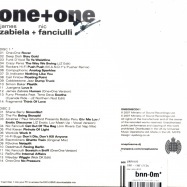 21 years later it is now time to breathe new life into this essential track and make it available again for a new generation of electronic music enthusiasts. together with de:tuned, la synthesis handpicked some of their favourite producers to rework the original and the results are mind-boggling to say the least. 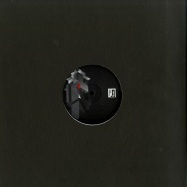 180 gram withe vinyl. 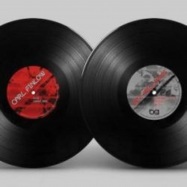 3 strong techno electro tracks with editing & vocoder from carlo finlow and dj say! 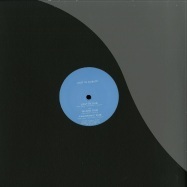 incl carl a. finlow remix !! 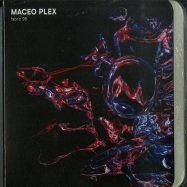 der renommierte us-techno/electro-dj/produzent und wahlspanier maceo plex beginnt sein fabric-mixset mit deepem electro, um dann 20 minuten lang eine 4/4 kick-drum einzuführen, die den hörer auf einen begnadeten trip aus new wave und techno mitnimmt, der sich in voiskis unveröffentlichtem megatrance 2 entlädt, um am ende in reflektion und stille zu verharren. 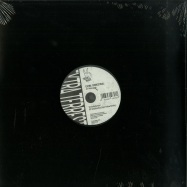 dabei bedient sich maceo einer vielzahl an weiteren unveroeffentlichten tracks von jensen interceptor, jon hester, iron curtain, perestroika, north lake, orbe und seinem eigenen alias mariel ito. fabrics resident-dj craig richards ist dem legendären club seit seiner eröffnung 1999 treu geblieben. auf fabric 58 liefert er ein einzigartiges set aus ungehörten & unterschätzten raritäten aus den bereichen techno und house der letzten 20 jahre und verleiht dem release so einen nicht zu unterschätzenden charakter von zeitloser qualität. 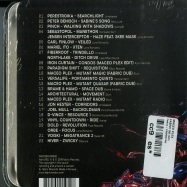 this music on these cds was lovingly compiled by james and nic and ranges from new exclusives from some of their favorite producers to classic gems all of which have been extensively edited and deconstructed by james and nic to give you an unique sonic experience.